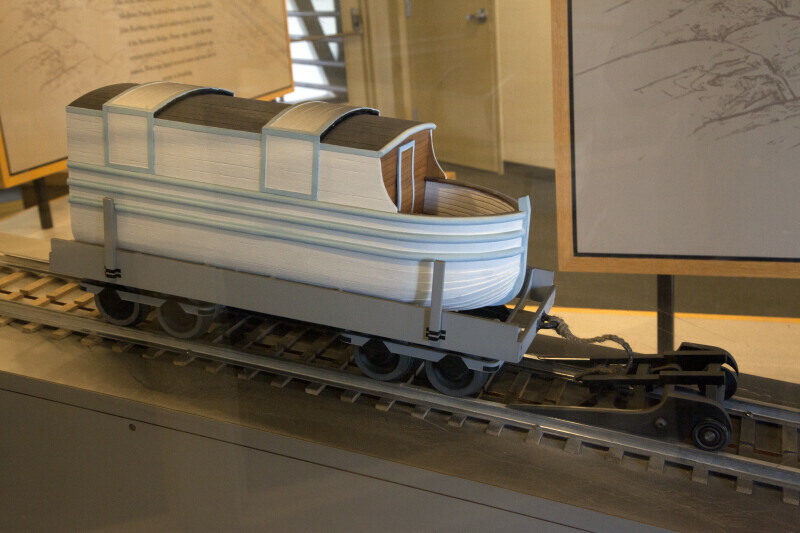 This model shows a section of disassembled canal barge loaded onto a flatbed railroad car. There is a safety buck down slope from the loaded rail car. Engine House No. 6 is listed on the National Register of Historic Places, as part of the Allegheny Portage Railroad National Historic Site.